As many of you’ve probably already heard, Governor Brown’s Housing Policy Agenda looks to significantly expand the state’s investments in affordable housing to $370 million focusing on housing stability for families with children, veterans, the chronically homeless, and rural communities – communities where the impacts of the housing shortage are the most acute. While the report celebrates Oregon Housing and Community Services (OHCS) has over 7,800 new affordable homes under development in the pipeline, which is a record number, there is much more to do. The Governor’s goal is to triple the existing pipeline to 25,000 homes by 2030. From 2000 to 2015 Oregon underbuilt 155,156 housing units. African-Americans and Native Americans are much more likely to experience homelessness and spend more than 50 percent of their income on rent. 13,953 people experienced homelessness on Oregon’s 2017 Point-in-Time Count. It is estimated 23,000 children are homeless or at risk of homelessness in some form. The homeownership rate is just 30% for African-Americans, 42% for Hispanics and Native Americans, compared to 63% for the white population. While rural Oregon’s median household income at $41,098 is similar to the national median, the housing prices in rural Oregon are 30% higher than in rural U.S. 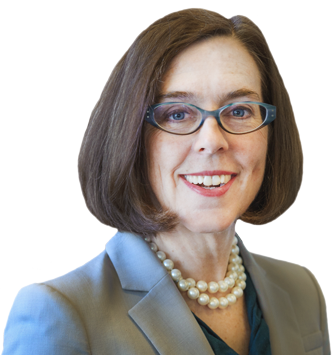 Governor Brown has established four strategies for achieving a goal of making sure every Oregon family has a safe place to sleep. Develop 2,200-2,600 units of affordable owner and rental housing, with incentives for family-sized units and tailored services for homeless families. Raise funding amounts to $50 million for Emergency Housing Assistance (EHA) and State Homeless Assistance Program (SHAP). End veteran homelessness in Oregon by ensuring veterans have an array of options to find and retain housing that meets their needs. Provide pilot communities with resources to establish a by name list of homeless veterans, allowing for real-time data collection and detailed outcome tracking. Utilize recently increased Document Recording Fee resources to expand street outreach, emergency shelter, transitional housing and more. The Oregon Health Authority (OHA) and OHCS are collaborating to invest $20 million to create 200 new units of housing with supportive services. Dramatically increase the number of affordable homes throughout Oregon by supporting the growth of housing supply. 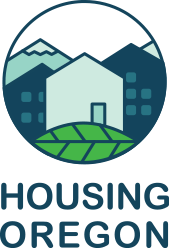 Launch the Greater Oregon Housing Accelerator to help ensure people can live in the communities where they work. Will use $15 million on a minimum of three dozen collaborative partnerships between employers and communities.